Like many symptoms of Asperger's syndrome, it is unknown what exactly makes it difficult for aspies as we call ourselves to look people in the eye. It's reasonable to assume that this comes down to pure social anxiety and it is something that can be overcome but that is not entirely the case. Social anxiety is part of it looking people in the eye is neurologically offensive to a lot of aspies. In other words, there are certain things regarding eye contact that are in our control and others that are not. Asperger's Syndrome What Is It? Asperger's syndrome is not a learning disability and it has features of autism spectrum disorder, nonverbal learning disabilities, and Attention Deficit Hyperactivity Disorder (ADHD). In the social interaction domain, individuals with Asperger's syndrome tend to have limited and sometimes inappropriate kinds of behaviours in the social interaction domain. They have difficulties with nonverbal communication, for example, they have a hard time reading gestures or facial expressions and sometimes their gestures and facial expressions don't communicate what it is that they're thinking and feeling. 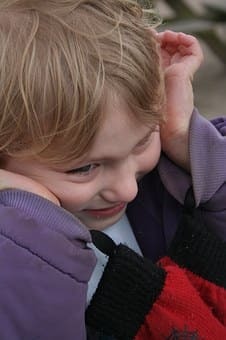 They often have difficulties understanding emotional cues so they miscue when listening to someone or watching somebody. They may then say something inappropriate or they may repeat something that isn't appropriate to the situation because they're miss reading the social aspect of the situation or the emotional aspect of the situation. Individuals with Asperger's are often seen to have low eye contact either not making good eye contact or sustaining good eye contact. In this social interaction domain those with Asperger's tend also to be at risk for not having many friends, they tend to be socially isolated. In the language area, those with Asperger's often are extremely verbal highly verbal and their language can be very sophisticated at times what they do. When they're talking is that they tend to discuss themselves and their interests and not focus on the interests of others it can be a one-sided conversation and some of that prosody the flow. The reciprocal flow between one person another can be awkward they tend to be literal in the ways that they understand language. For example, if you was with somebody with Asperger syndrome and you was to say get out of here they might physically they may mean they may think that it means that you want them to get up and physically move away as opposed to get out of here. You can't believe that that just happened so there's this literal component to the way they understand language and that tends to be very difficult for many individuals with Asperger's. The ways that they use their voice both the tone of their voice the pitch of their voice when they're speaking and the way that they modulate the volume of their voice can be problematic. Asperger's tend to be very sophisticated in terms of the language that they use the vocabulary and language. In the same way that individuals on the autism spectrum disorder are fascinated and focused on pieces or things. In an expanded kind of a way, those with Asperger's tend to focus on or many have particular interests in unusual objects or topics. They may memorize the map of a subway system or they may be fascinated by the specifics of what constitutes the decorative ironwork on bridges. They focus on those kinds of peculiarities and they run with them and they become quite expert at them. They exhibit often awkward body language their posture and their movement they don't often know what they do with their hands. They stand in a funny kind of a way, they may have posture difficulties or present differently in social situations that are individuals with Asperger's are also at times bothered by noise or by lights or by certain textures or intense kinds of tastes. They tend to have difficulties often in areas of motor coordination so sports can be an area of difficulty. Many individuals with autism do really well in individual sports and not so well in team sports. They tend sometimes to have difficulties not just with the coordination or the rules or the following of the interactive nature of sports but also with balance and muscle control. Individuals with Asperger's syndrome will struggle often with routines or changes in routines they have difficulties in transition periods moving from one activity to another. They are known often to have difficulties with the physical act of writing the handwriting process the motor control needed to do written expression. 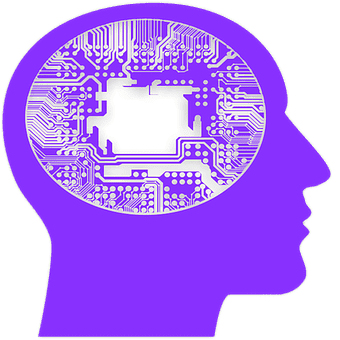 Those with Asperger's syndrome are almost always of at least average intelligence and they can certainly demonstrate characteristics of giftedness. Deficit hyperactivity disorder anxiety becomes an issue at certain points with individuals with Asperger's as does depression and that needs to be looked at carefully and monitored carefully. They may have some several like qualities as might those in the autism spectrum disorder category and as mentioned earlier they may also be referred to at times as high functioning autistic.